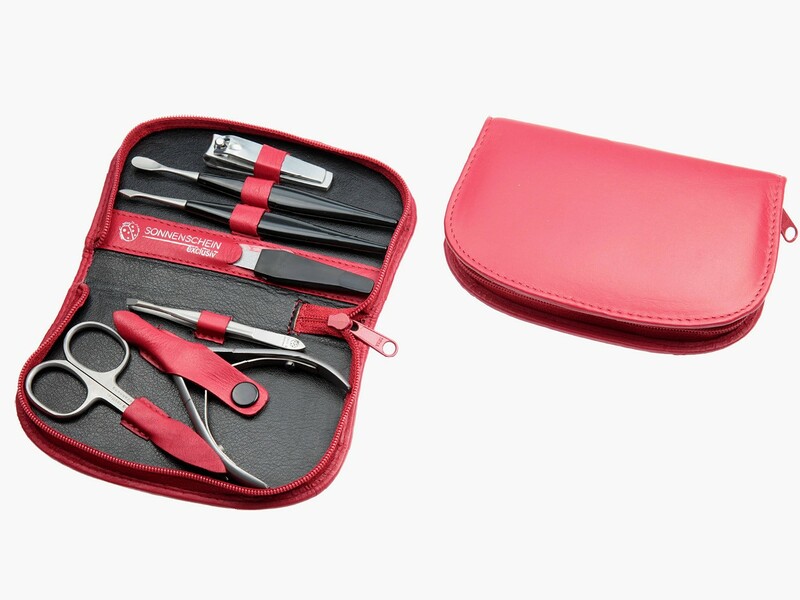 Top quality that lasts is a DNA of the stunning HK Pro manicure set crafted by German masters in the finest nail instruments since 1926. It is designed for a woman who likes the best things in life and doesn't compromise on quality. 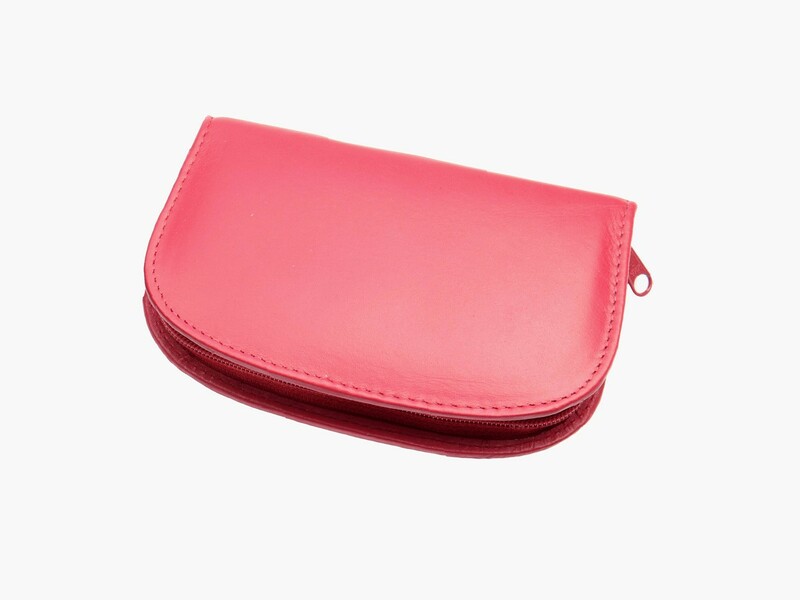 Luxurious leather case with an elegant curve accentuates a feminine character and brings a vivid colour to her manicure routine. 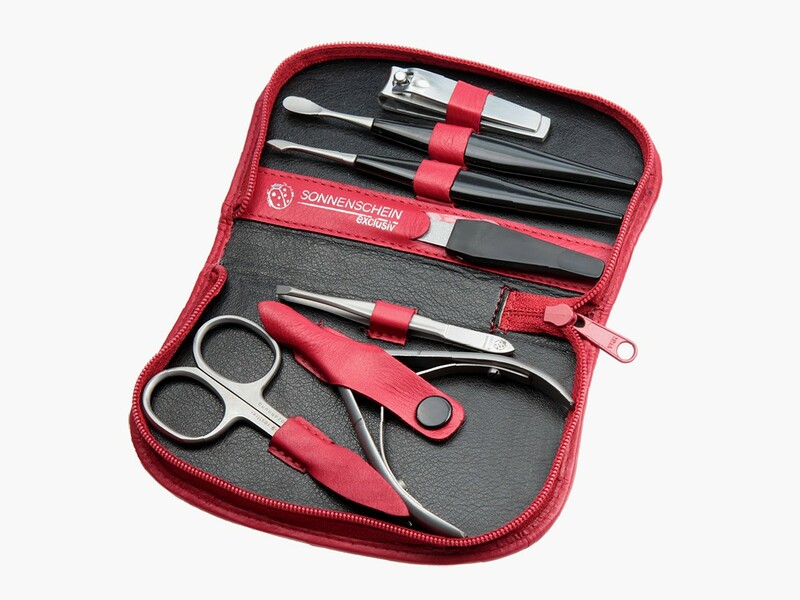 The set includes 7 high quality stainless steel nail instruments with a perfectly sharp and durable cutting edge that will last and award her with professional style manicure.